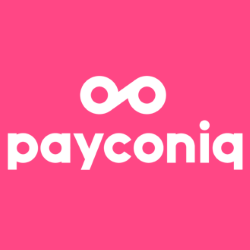 Payconiq is an all-in-one app enabling consumers from Belgium, Germany and the Netherlands to make direct payments online. It makes it easy for consumers and merchants to send and receive payments by supporting all payment methods in a single app - online, in-store and peer-to-peer. The app makes a direct connection with the customer’s payment account at one of the participating banks. In this situation, the payment method selection will be done in the Buckaroo checkout page. After selecting Payconiq, Buckaroo will display the QR code to the customer. The Payconiq service can be left out in the API call to Buckaroo. Instead, provide the basic parameter "ContinueOnIncomplete" with value "RedirectToHTML" in the request. This way a redirect URL will be returned in the response, that leads the customer to the Buckaroo checkout. Here the Payconiq payment option is already selected in the webshop checkout. After confirmation the customer will be redirected to the Buckaroo page where the QR code is displayed immediately. To do this, perform the "Pay" call. In the response, redirect the customer to the RedirectURL under "RequiredAction". This option provides the best customer experience. Here the payment option is selected in the webshop checkout, after which the QR code will be displayed in the webshop as well. This way the customer will not have to be redirected to the external Buckaroo checkout page for the QR code. In order to implement this, the ClientSDK is needed. More information can be found in the SDK section. To optimize the payment experience for mobile users, it is recommended to redirect them directly to a specific URL rather than the Buckaroo checkout URL or the SDK. This will avoid an unnecessary step/redirect for the customer. First off, identify the customers’ device. If it’s a mobile android device, redirect the customer to the “PayconiqAndroidUrl” found in the Buckaroo response. If it’s a mobile iOS device, redirect the customer to the “PayconiqIosUrl”. For any other device, redirect the customer to the “PayconiqUrl”. Please note: it is not required to do this, as both the Buckaroo checkout and the Client SDK can handle mobile users, but we strongly advise you to take this into consideration. It is also possible to use a Payconiq transaction as a reference transaction for recurring SEPA Direct Debit transactions. To do this, add the basic parameter "StartRecurrent" with value "True" to your Payconiq API request. Once successful, you can perform a recurring SEPA direct debit transaction. Please see the SEPA Direct Debit section for an explanation of the "PayRecurrent" request. Payconiq supports a complete testflow. However, if you wish to perform test transactions, you will need the test app from Payconiq instead of their regular app. To install this app, please open the following url on your phone. You will be required to sign up by entering your email address and a link will be sent to you to download the app. Trust the app – you can do this via the settings on your mobile phone. While setting up, if you do not receive the verification SMS for EXT, you can always use 99999 on EXT. This is the default code. The Pay action is the default action for the service Payconiq. With this action a new transaction will be initiated via Payconiq. In case of a correct request a pending response will follow with the transaction status “791 Pending Processing”. The response will contain some details about the transaction. When using the Buckaroo Client SDK all you need to proceed is the SDK itself and the transactionKey. See below under “Example Client SDK implementation” for an example of how to use the Client SDK within you website / webshop. There are no service specific parameters for this request. A description for the transaction, visible to the consumer in the Payconiq app. Please note: This is a basic parameter (optional), not a service specific parameter. A URL pointing to a PNG of the QR code that can be scanned with the Payconiq app. Only useful for a custom QR implementation. Redirect mobile users to this URL if the operating system is not iOS or Android. Redirect mobile iOS users to this URL. Redirect mobile Android users to this URL. This is the Payconiq transaction ID. "Description": "An additional action is required: Redirect to Buckaroo"
1. Container selector: Use the query selector format for selecting a DOM element. 2. Transaction key: Insert the transaction key from the server side Pay response. You can find the value in the “Key” field of the JSON response. When initiated the Client SDK will render a minimal “widget” inside the container element of your choice. The script will render a QR code and listen for status updates. In case the consumer is using a mobile device the script will redirect the consumer directly to the Payconiq app to complete the payment. After the payment is completed, cancelled or failed the consumer will be redirected (by the SDK) to the ReturnUrl. To refund a successfully performed Payconiq transaction, use the action Refund. A bank transfer is then initiated which transfers the amount of the original transaction to the consumer. Transaction key of the original transaction that needs to be refunded. Please note: This is a basic parameter, not a service specific parameter. This value is a 32-character hex string. The beneficiary of the bank account from which the payment was made. The international bank account number (iban code) of the bank of the consumer. Please note: This field is optional. In some countries, banks are not allowed to provide this information to third parties.